3:43 PM 10/11/2017 – Fusion GPS says it didn’t give Trump Russia dossier to BuzzFeed. M.N. : Who did, then? 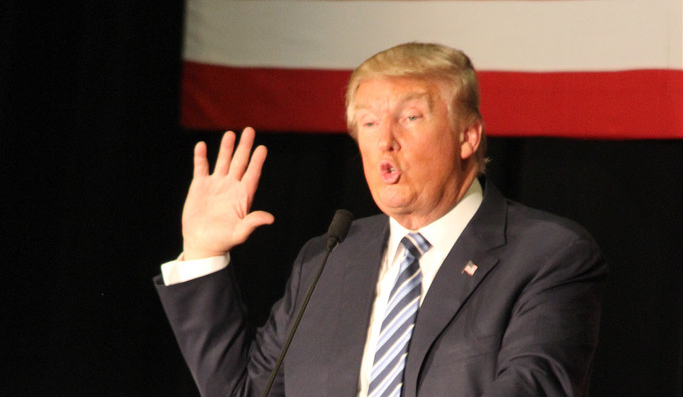 For months, Palmer Report and others have been pointing out that Donald Trump’s mental faculties have been in sharp and accelerating decline. His tweets are incoherent. 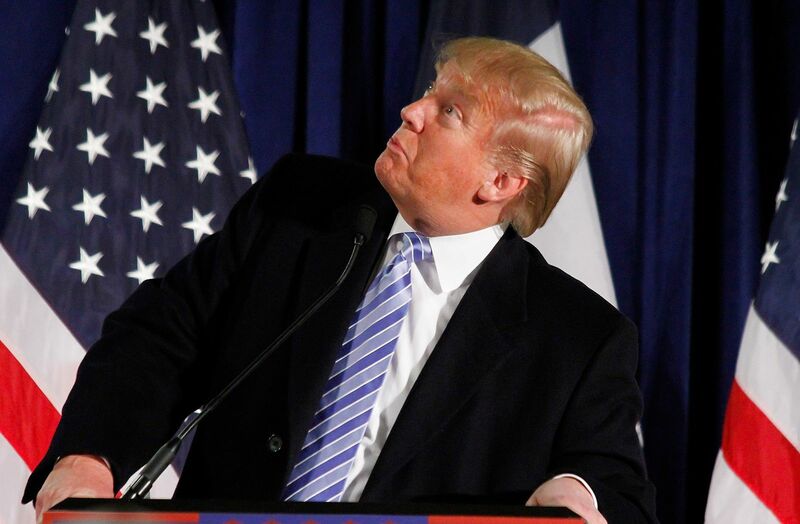 When he goes off-prompter during speeches, he becomes unintelligible. Even Republican Senator Bob Corker is acknowledging that Trump can’t function without his babysitters. Trump’s bizarre new interview serves to underscore that point, as it ranges from delusional to outright hallucinatory. 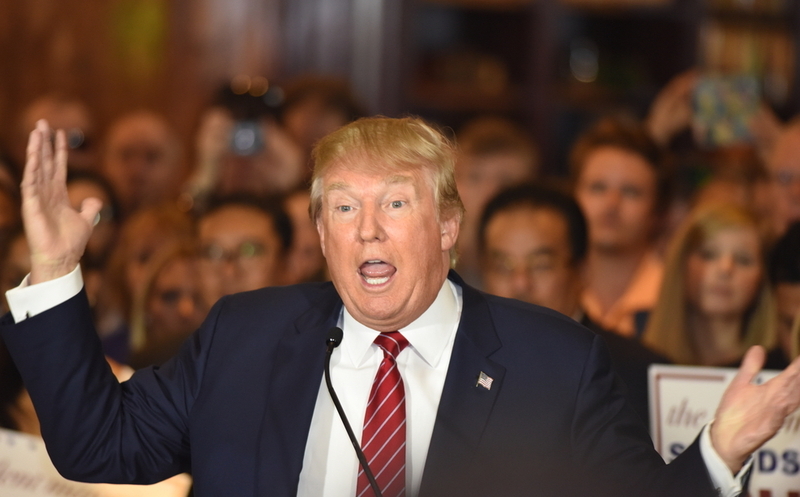 Donald Trump spoke at length with Randall Lane of Forbes Magazine for a feature story. The first detail to get outsized attention has been Trump’s insistence that he and Secretary of State Rex Tillerson should compare IQ test scores, a fittingly idiotic response to Tillerson’s earlier assertion that Trump is a “moron.” But other aspects of this interview serve to demonstrate just how far removed from reality Trump has become. It’s not just that he’s lying, which he’s always done. It’s that he appears to actually believe some of the hallucinatory claims he’s making – and he appears to expect that the public will believe this stuff as well. At one point in the interview, Trump brags about all the major legislation that he and the Republican Congress have passed since he took office. Of course in reality, everyone knows that his dysfunctional nature has helped prevent the Republicans from being able to pass anything of importance. At another point, Trump says how pleased he is that the Senate had just announced his campaign had no collusion with Russia – but the Senate didn’t announce any such thing. There are plenty more examples. What might be most remarkable about this Donald Trump interview is that his newly promoted White House Communications Director Hope Hicks was sitting beside him the entire time. According to the transcript, at multiple points, as his answers began to go off the rails, she interjected and tried to wrap up the interview prematurely. In each instance, Trump overruled her and kept babbling. He can’t even function with supervision. Read the entire bizarre Forbes interview here. The post Donald Trump has hallucinatory meltdown in bizarre new interview appeared first on Palmer Report. 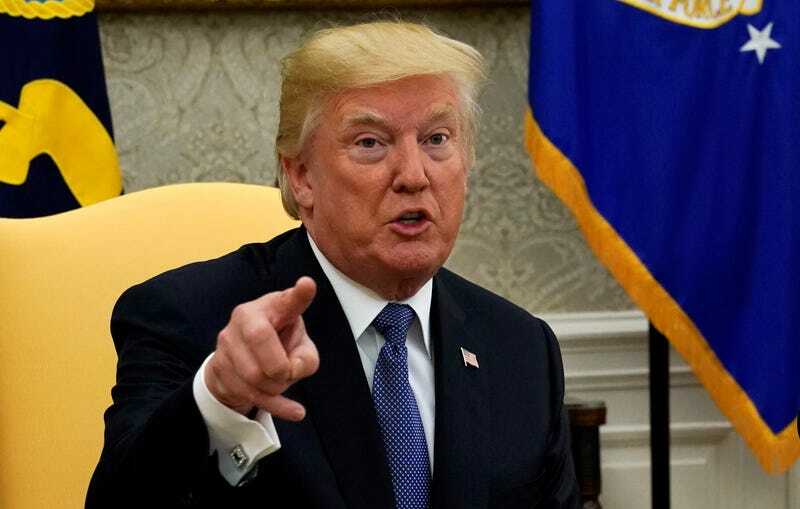 In the days after the mass shooting in Las Vegas, which shook mainstream Americans to their core and strengthened the majority’s resolve in demanding increased gun control, Donald Trump has shown precious little leadership of any kind. Now he’s finally making a major move which relates to guns: he’s hiring a clearly demented gun addict as his latest White House senior adviser. 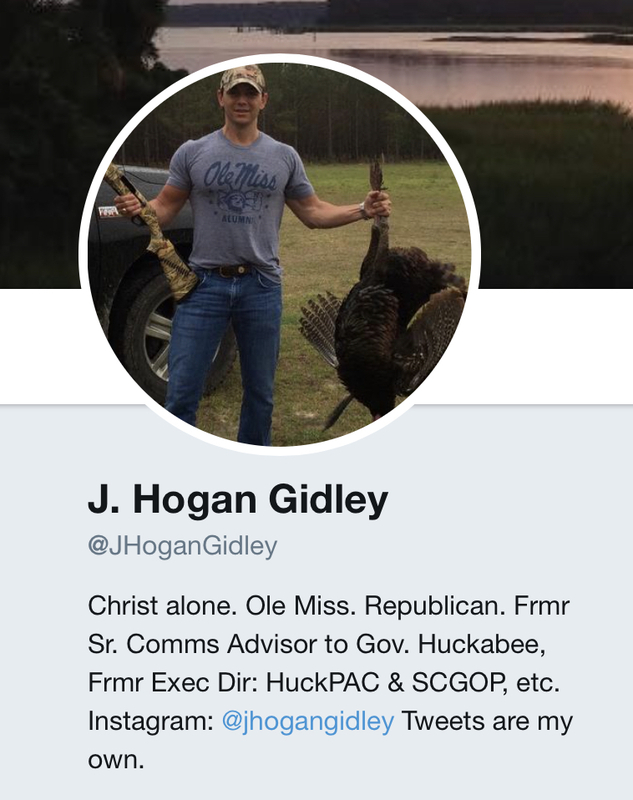 That’s right, as of the time of publication of this article, J. Hogan Gidley has a Twitter profile picture in which he’s holding a gun in one hand and a dead animal in the other. If he’s a gun owner and a hunter, then so be it. But when your profile picture consists of you holding a gun in your hand, it’s clear that your entire worldview is based on gun addiction and violent bloodlust for killing things. In his Twitter bio directly under his jarringly violent profile picture, he defines himself as being “Christ alone” – suggesting he’s one of those demented conservatives who equates violent bloodlust with a perverted version of Christianity. Although J. Hogan Gidley’s Twitter account @JHoganGidley is not verified by Twitter itself, recent tweets from Mike Huckabee and Sarah Huckabee Sanders confirm that this really is him. This means that Donald Trump has finally responded to the Las Vegas shooting, by hiring someone who appears to have a dangerously unstable relationship with guns. Trump’s base will love this hire, but his support base is shrinking – and real Americans will simply be horrified by this. The post Donald Trump responds to Las Vegas shooting by hiring new senior adviser who’s a total gun nut appeared first on Palmer Report. 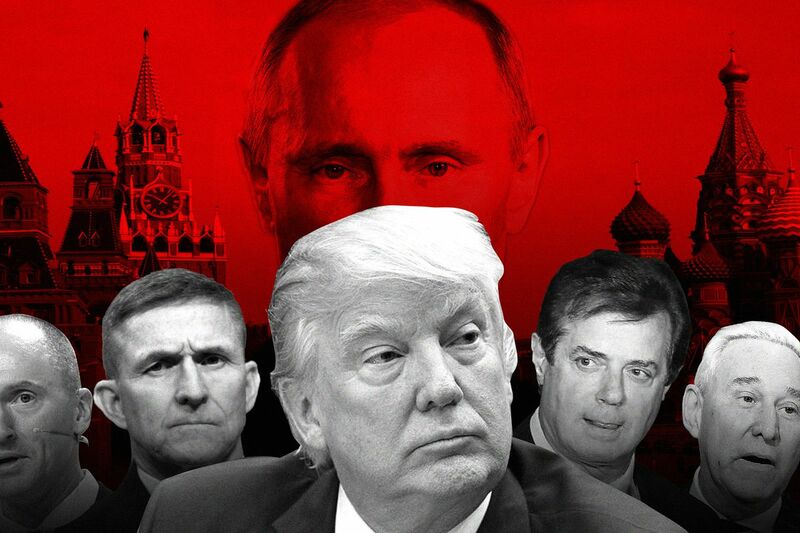 No one among the public has been able to piece together precisely what role Carter Page may have played in Donald Trump’s Russia scandal, because no one can even figure out what role he truly played in the Donald Trump campaign. He was officially a Trump foreign policy adviser, and had communications with the Russians going back a few years. In fact Russian spies have been caught calling him an “idiot” as they bragged they were using him (link). Now it’s become clear that Special Counsel Robert Mueller will use Page to get to Donald Trump. Carter Page announced today that he’s changed his mind and he’ll now refuse to show up and testify about the Trump-Russia scandal for the Senate Intelligence Committee. He’ll invoke the Fifth Amendment instead (link). Legally, this does not mean Page is guilty. But it probably means that he expects to be charged with one or more federal crimes, and therefore doesn’t want to risk unwittingly aiding his own prosecution by testifying. In other words, Robert Mueller is targeting Carter Page, and Page knows it. This is a game changer. Mueller is already targeting Paul Manafort and Michael Flynn, but those parameters are different. Both of those men are alleged to have committed the kinds of crimes that could send them to prison for life. Neither is likely to get a free pass even if they do flip, which explains why they’ve dug in their heels. But then there’s Carter Page. Even if Page didn’t commit any crimes in his role in the Trump-Russia scandal, he could still find himself facing obstruction charges for refusing to cooperate as a witness. It’s easy to picture Robert Mueller offering Carter Page a free pass in exchange for flipping on Donald Trump. It’s just as easy to see Page taking it. All Mueller needs is one person to flip, and the scandal is wide open from there. 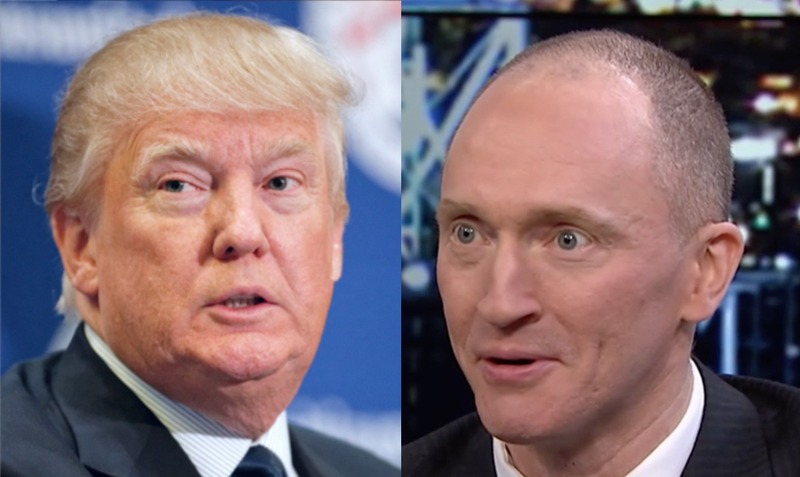 The post Robert Mueller will use “idiot” Carter Page to blow Donald Trump’s Russia scandal wide openappeared first on Palmer Report. 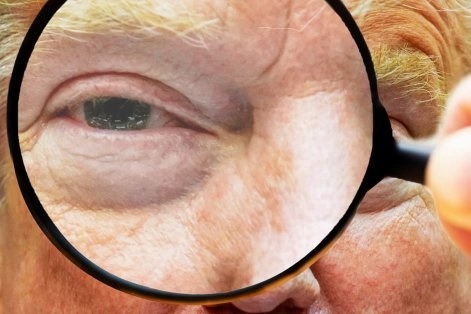 Even as the United States Constitution huffs and puffs and tries to put out the fires being set daily by Donald Trump, his deranged criminality continues to expose the limitations of a two century old document that we had hoped was infallible. Now that it’s become clear just how psychologically unstable Trump is, we have another problem on our hands: the specter of a de facto military coup. This week Republican Senator Bob Corker sounded the alarm on Donald Trump’s unstable nature, while pointing that a pair of retired military Generals – James Mattis and John Kelly – may be the only ones currently standing in the way of nuclear armageddon. Vanity Fair writer Gabriel Sherman appeared on MSNBC this week and said that a prominent Republican has privately told him he imagines a scenario in which Mattis and Kelly have to physically tackle Trump as he lunges for the nuclear launch mechanism. In such a scenario we’d all want to root for Mattis and Kelly, but therein lies the problem. General Mattis is the Secretary of Defense, but has no legal or Constitutional authority whatsoever when it comes to interfering with the actions of the U.S. President. General Kelly is merely the White House Chief of Staff, and has no authority of any kind. Even if these two men were still active Generals, they’d still have no authority to override the President. 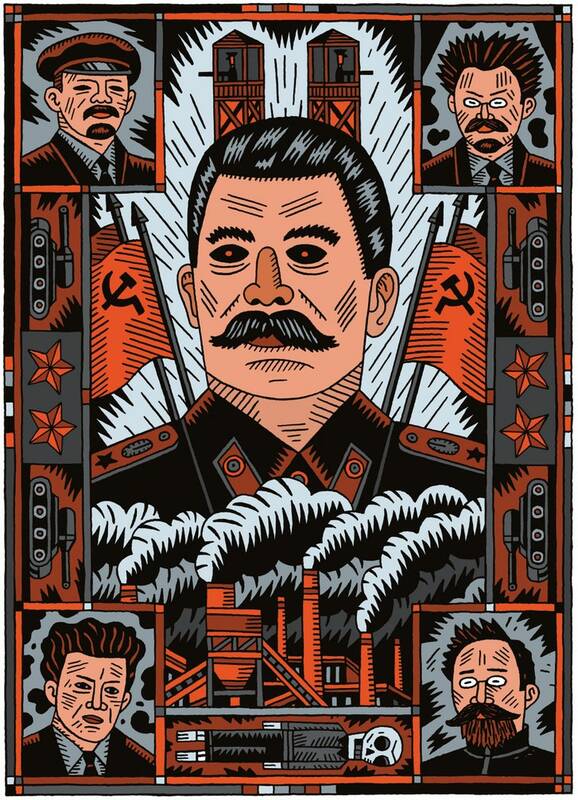 If Trump were attempting to launch a nuclear missile, and they physically tried to stop him from doing so, they’d be engaging in a coup. In such a scenario, the Secret Service would be legally required to arrest Mattis and Kelly on the spot – but would they do it? If Trump was a few seconds away from sealing all our deaths with the press of a button, with whom would the Secret Service ultimately side? With whom would the military itself side? Much as we’d all like Trump ousted, military coups have a fairly bad historical record of getting democracies back on track when they’ve gone awry. If two legally powerless retired Generals are the only reason we’re all still alive, that alone means Donald Trump must be impeached by Congress and removed immediately. The post The increasing specter of a military coup against Donald Trump appeared first on Palmer Report. For the past week we’ve seen increasing hints of it from behind the scenes. Now it’s coming from Donald Trump’s own mouth: this evening he began publicly laying the groundwork for ousting General John Kelly as his White House Chief of Staff. The most jarring part is that Trump’s decision to go full-frontal against Kelly is coming just one day after Bob Corker publicly opined that Kelly was just about the only thing keeping Trump from falling apart – thus suggesting that Trump is now looking to oust Kelly out of spite. On Tuesday evening, Trump tweeted “The Fake News is at it again, this time trying to hurt one of the finest people I know, General John Kelly, by saying he will soon be fired. This story is totally made up by the dishonest media.The Chief is doing a FANTASTIC job for me and, more importantly, for the USA!” Here’s the kicker: by and large, the media is not reporting this to begin with. No major news outlet has reported that Trump is considering firing Kelly. To be frank, Palmer Report is the only news outlet that’s even broached the topic this week – and we doubt Trump is sitting around reading us. Instead, Trump is tweeting this so that it will become a headline story for the mainstream media. The media should have picked up on the signs this past week, from Trump bumping Kelly off Air Force One at the last minute (link), to Trump’s people leaking the story about Kelly’s phone having been hacked over the summer (link). Trump was trying to soften up the ground for firing Kelly, but the media largely didn’t bite – so now he’s trying a more direct approach. The most disturbing aspect of this may be the timing. Donald Trump has clearly wanted to get rid of John Kelly for at least a week. But now that a Republican Senator is humiliating Trump by pointing out that Kelly is his babysitter, Trump is suddenly taking a more direct approach for trying to oust Kelly. This suggests he’s being motivated out of sheer spite. The post Donald Trump spitefully lays the groundwork for firing General John Kelly appeared first on Palmer Report. SEOUL/WASHINGTON (Reuters) – The U.S. military flew two strategic bombers over the Korean peninsula in a show of force late on Tuesday, as President Donald Trump met with top defense officials to discuss how to respond to any threat from North Korea. Trump has boasted of his intelligence. Here’s his chance to prove it.